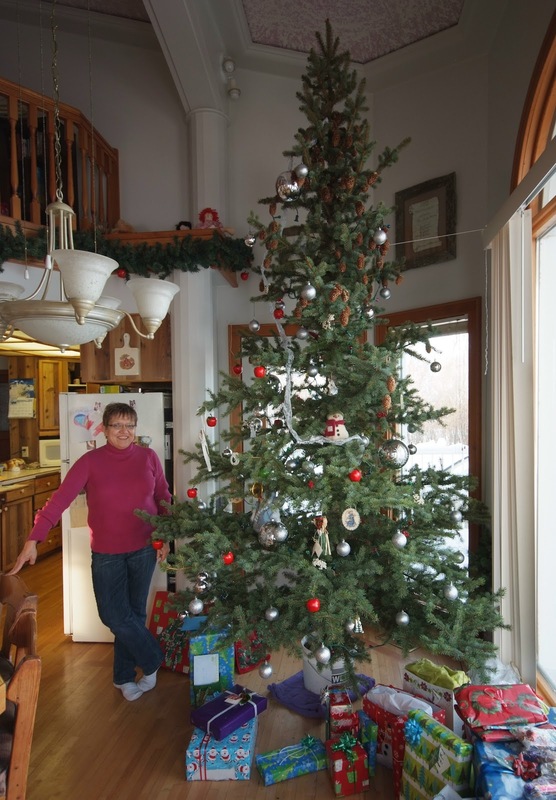 Check out my parent's massive Christmas tree. Every year (well for a while now) Dad finds a tree on our farm that's tall and intersting looking and it's exciting to come home to see what glorious creation they discovered. This year is no exception and I'm thrilled to show off the most beauitful of trees! I got my mom to stand by the tree so you'd get the proper hight of it. Nice tree Laverdiere's! Have a very Merry Christmas!